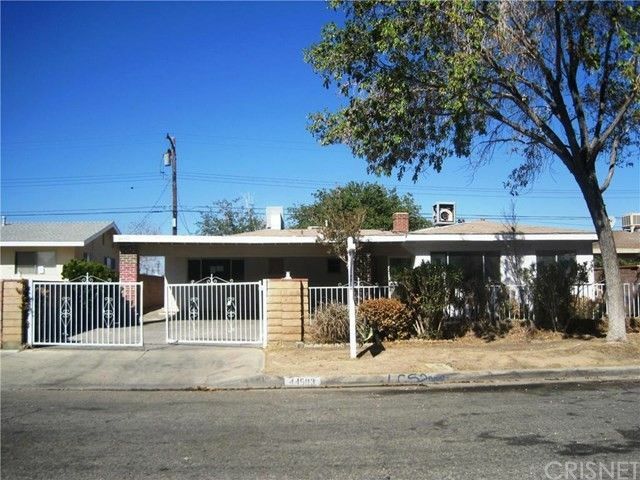 This vintage Lancaster home enjoys a convenient central location close to schools, shopping and the freeway. A pretty wrought iron fence and gate provide security; a wide covered carport provides for parking and the attached garage has been converted into a studio apartment ? complete with living/sleeping space, kitchenette and full bath. In the main house, a spacious living room with a cozy floor-to ceiling fireplace and formal dining area are adjacent to a country kitchen with tile counters and flooring and a generous helping of cabinetry for storage and an attached laundry room for convenience. Three bedrooms, including a master with private bath, another full bath and an enclosed patio space complete the home. The backyard is enclosed with block walls and includes a storage shed. This is a unique opportunity to restore and rehab with a personal sense of style!